This year we are offering visitors the chance to meet some of our cutest residents at the safari park, our mob of meerkats! At the heart of the leisure area, Desert Springs affords visitors a fantastic insight into the meerkats natural behaviours, as the habitat has been specially designed to closely resemble their wild home. With termite mounds and heated hot rocks, this sandy sanctuary provides a spa-like home for our mob. Your experienced ranger will take you behind the scenes for a 30 minute tour to meet the meerkats at Desert Springs, where you will learn about the conservation, breeding, diet and welfare of these mini mammals. You will even get the chance to help the keepers feed them their favourite snack! Available to book until 31st October 2019 (subject to availability).  These VIP Experiences can only be purchased by calling the VIP team on 01525 290991 or request a call back email at vip@woburnsafari.co.uk.